Beautiful, Unique Hi-Tech Carports, Walkway Covers, Patio Covers, Pool Shade Covers and Awnings that are made of aircraft grade aluminum with poly-carbonate panels. All hardware is stainless steel. Available in many sizes and colors. The hail simply bounces off our unique structures that block the rain and allow all the sunlight through while blocking out harmful UV rays and Heat Rays. Wind speed rating of 95 MPH. 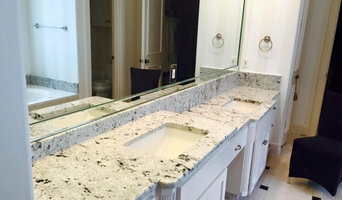 mrZ Contracting offers all components of the job. The homeowner only has one company to deal with. We specialize in building and renovating pools, outdoor living areas, arbors & cabanas, fire places & fire pits, patios & walk ways, drainage systems, play areas, grill cabinets, low voltage lighting, fences, retainer walls/bed borders, trees, shrubs, perennials/annuals, ground covers and more. From landscaping to hardscaping construction, mrZ Contracting helps you discover your home’s outdoor living environment's potential. Bobcat Custom Outdoors is a full service design/build construction company that specializes in transforming back yards into exceptional outdoor living areas! We are family owned and operated that strives to deliver a personalized building experience. Our focus is on meeting the customers needs and wants with quality craftsmanship. Established in 1985, Dal-Rich Design & Construction is an award-winning Outdoor-Living design/build firm based in the greater Dallas-Ft. Worth TX area. At Dal-Rich, we recognize that your investment is important not only for the value of your home, but also for the increased lifestyle value it will provide for you and your family. We're committed to help you realize your vision by demystifying the process so you can make informed and knowledgable decisions along the way. We'll discuss design principals such as sight lines, orientation and space management and help you to organize your project planning with clear budget guidelines on a per-element basis. We will help you navigate your options and offer strong design recommendations that work within your desired budget. In the end, we want you to have the oasis you dreamed of - one that inspires you each day to enjoy life outdoors with family and friends. For 30 years, Southwest Fence & Deck has been the premier fence and decking company in the DFW area. We pride ourselves on the quality work we produce and the superior customer service we provide. When you decide to work with us, you will find we strive to differentiate ourselves from our competitors. Our designers work directly with you to create an individualized outdoor space that is specifically designed for your needs and budget. Each designer averages over ten years in their specific field of expertise and they continue to keep up with current trends and products by attending seminars and trade shows regularly. All designs meet city codes and we will obtain all necessary municipal permits. Our in-house scheduler will keep you informed of project progress, what to expect on a weekly basis and any weather delays. We also have an in-house crew with no subcontractors, so you can expect efficient and effective scheduling as well as total quality control. We are so confident in our products that we provide a one year warranty on all workmanship. 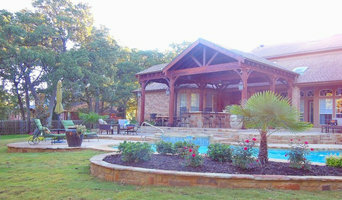 Texas Outdoor Oasis is a home exterior service company located in Wylie Texas. 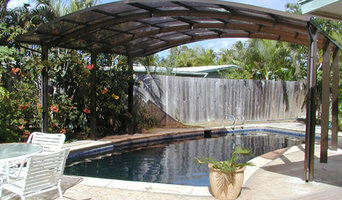 We design and construct swimming pools, outdoor living areas and landscape for homeowners and builders. Our staff consists of experienced exterior construction personnel, masonry specialists, licensed irrigation specialists, and professional design staff that will work together with you to design your perfect outdoor oasis. With over 20 years’ experience, we take pride in our top-of-the-line outdoor living spaces. You can rest easy knowing we will get the job done right, and that you are 100 percent satisfied. 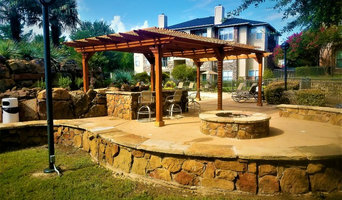 Compass Outdoor Design is a design build firm servicing the Greater Dallas/Fort Worth area. 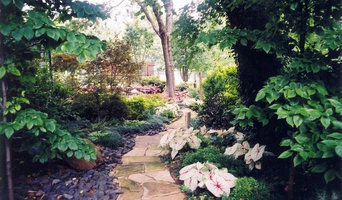 We are a turnkey, full-service outdoor living company. Compass Outdoor Design specializes in everything outdoor; top of the line kitchens, awesome living spaces, incredible patio covers, multiple deck and flooring options, fire features, water features, luxury pools, and spas, screened porches, landscaping and more. At Compass Outdoor Design, our goal is simple: to be the very best at what we do. We design and construct amazing solutions for our customers by providing them one point of contact throughout the entire process. We are the only company in North Texas that can contract with homeowners to build the entire outdoor space, start to finish. We consider ourselves the outdoor experts, building projects done on time, on budget, and at the highest quality. Compass Outdoor Design experts offer creativity and problem solving to design a living space for any budget, and to design a space where homeowners can relax, experience, and enjoy life for years to come. Archadeck of Northeast Dallas is a specialty outdoor design and builder. We specialize in creating pergolas, decks, covered porches, and outdoor kitchens. We are the leading designer and builder of custom outdoor living spaces including: decks, patios, sunrooms, porches, pergolas, outdoor kitchens, fireplaces, and firepits. We are your local outdoor living contractor serving Dallas, Mesquite, Plano, Garland, and the surrounding areas. We’re a small company backed by a large network that has built over 100,000 incredible outdoor structures since 1980. When you work with Archadeck, you’re working with a local, family-owned business that’s backed by the strength of a national franchise with 30+ years of experience. Archadeck of Northeast Dallas’ owner, Agustin Garza was born and raised in Dallas, Texas. Agustin’s enthusiasm, dedication, commitment, and leadership skills are apparent in every aspect of his professional and personal life. He has a background in sales and customer services and 15 years of experience performing basic remodels in the home improvement industry. Agustin is a family man and he and his wife of 15 years have three beautiful children. Agustin has also been involved in youth sports for the past 12 years. He has been his son’s football coach for the past few years and they remain undefeated. Whether you’re looking to build a new deck, screened patio, or sunroom, or just need to update your current space with an outdoor kitchen, pergola, or fire pit – Our mission it to help you create the backyard space of your dreams. Like we always say, if you can dream it, we can build it! We know that starting a home improvement project is a major decision, and we strive to make the process as easy and stress-free for you as possible. From securing building permits, to final cleanup, we’ll handle every detail so you don’t have to. If you decide to work with Archadeck of Northeast Dallas, your outdoor living project will be protected by guarantees – guarantees that are unique and un-matched in the industry. Crimson Landscape is a Disabled Veteran Owned Small Business (SDVOSB). We tailor our landscape solutions to support our customer's unique requirements - whether that is landscape design, construction, drainage repair, land leveling, irrigation or outdoor living. With an experienced team and a wide range of services, we stand ready to support each property as if it was our own.